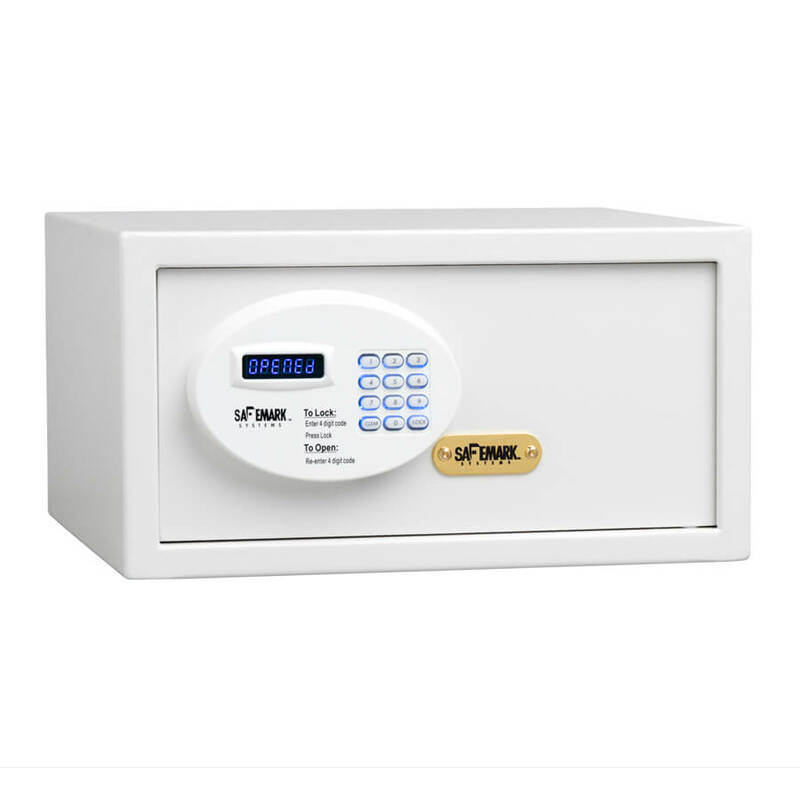 The M 5.1 incorporates the same durable construction as our larger safes, yet is designed to fit into tight closets and small guest rooms. This particular safe is popular at hotels needing a wider, yet not so deep solution for closet shelves. Operationally, the M 5.1 and the industrial strength Emergency Handheld Override (EHO) is easy to learn and simple to operate. Hotels looking for added security often select the Medeco UL-rated fail-safe to override key system.